Shiitake mushrooms are super healthy and extremely delicious, but they can be expensive and hard to find in their fresh state. I’ve mentioned before how I always keep dried shiitake mushrooms in my pantry (I think they are one of the most useful and versatile pantry staples by far) but what do do with them after you’ve rehydrated them and used their precious, unctuous stock? My favorite way to enjoy them is fridge cold or room temperature marinated mushrooms. I made this recipe up and I never bothered with a name. I usually just refer to it as “mushroom snack,” but for the purposes of illustrating the flavors I’ll call it sweet and sour marinated mushrooms. I came up with the marinade sauce ages ago when we were house-sitting for my aunt and uncle in Half Moon Bay. Exhausted from hiking, running up and down the beach and baptizing ourselves in the freezing ocean waters, we needed something to eat and we needed it quickly. Aware of our limited budget, my loving relatives had stocked their freezer with food we might enjoy, including frozen chicken potstickers. 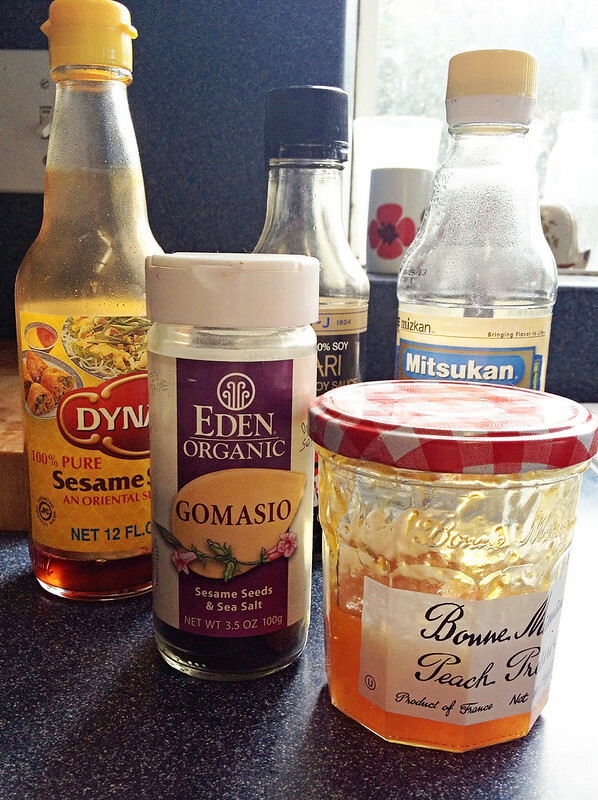 I created this sauce on the fly to dunk the gyoza in and I loved it so much I still make it all the time and it remains one of my favorite sauces. I remember pouring over Forever Summer at the time and this sauce was originally influenced by this recipe though looking at it now it’s hard to see how. I always have all the ingredients on hand which makes this a very cheap dish for me to make, and since it can be enjoyed cold or room temperature it’s a nice side dish to bring to a potluck or a refreshing snack or side dish at home. 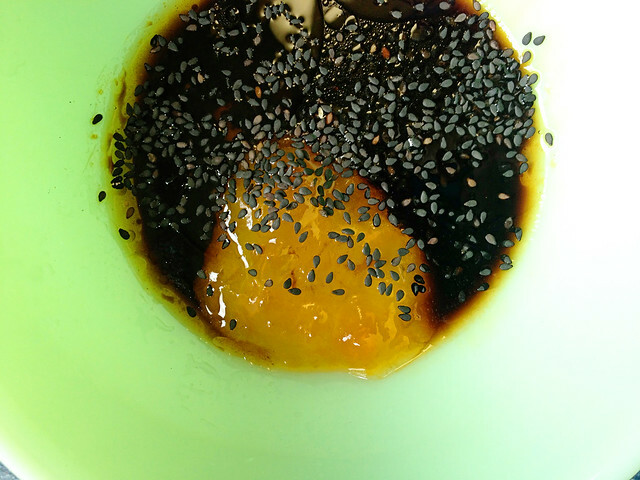 I used black sesame seeds in this recipe because I love the way the flinty, obsidian seeds contrast against the mellow flesh of the mushroom, but you can use regular white or toasted sesame seeds, too. You’ll notice the bottle I have says gomasio, which is a Japanese condiment of salt mixed with ground toasted sesame seeds. I used those all up and am just using the jar for storage. Feel free, however, to add gomasio if you like, just remember to taste to check for seasoning. – Combine all ingredients except for mushrooms and stir to combine. 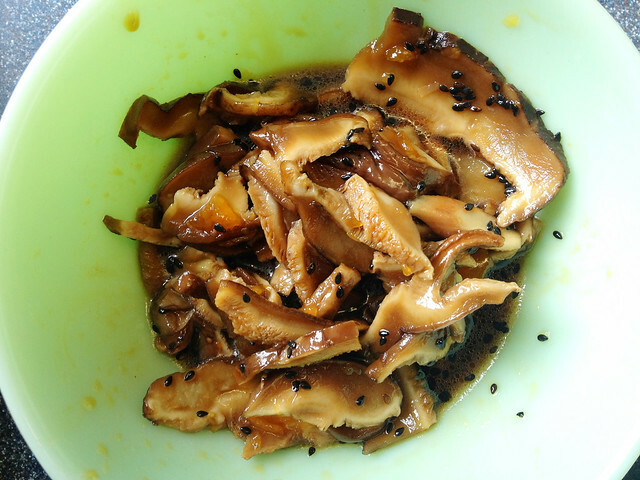 Use only the sliced mushroom caps as the stems are inedible. 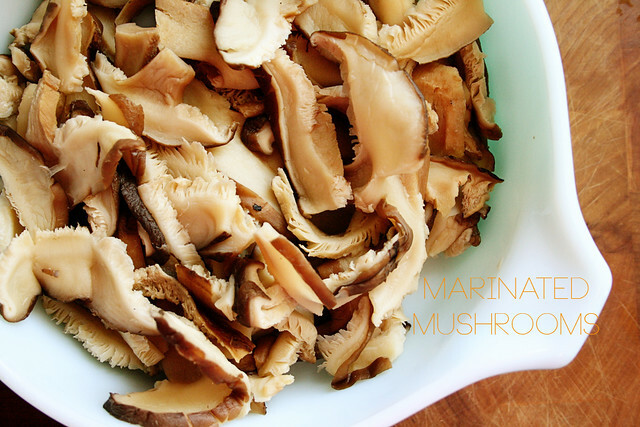 – Add mushrooms, stirring again, cover and let marinate in the fridge for a few hours or overnight. The longer it sits the better it will taste. Shake or stir a few times to distribute marinade. 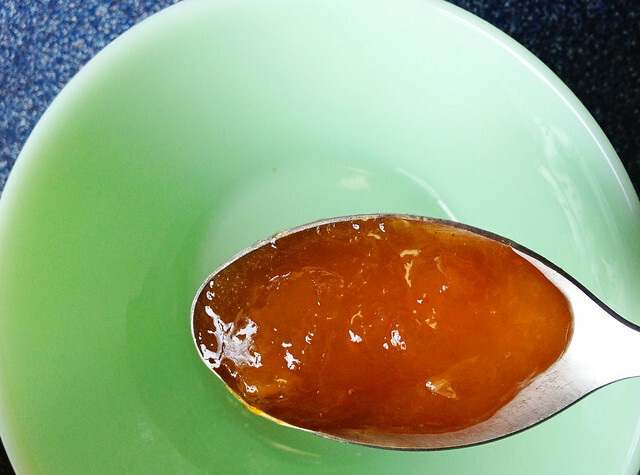 – Enjoy cold or at room temperature, over rice or just as they are. Sweet mushroomy Jesus, this sounds delicious. I am having a weird mushroom obsession lately, and this seems so perfect. I also can’t get enough of hearts of palm lately. I’m the non-pregnant lady who eats like a pregnant lady. Mushrooms are THE BOMB, says one non-pregnant lady who eats like a pregnant lady to another.